Since its transition from dictatorship to democracy in the mid 1980s, Brazil has undergone an extraordinary transformation, becoming the political and economic leader of Latin America.But despite Brazil’s rise as a world power, willing on occasion to challenge the hegemony of the United States, a dark stain of human rights violations can still be found in the country’s prison system. Soaring crime rates and increasing public hostility toward anyone suspected of being a criminal has led to steadily increasing incarceration rates, which the Brazilian penitentiary system has been unequipped to handle. The result is some of the hemisphere’s harshest prison conditions, described by the BBC in 2004 as being “medieval,”1 and frequently condemned by human rights experts from both the UN and NGOs such as Amnesty International. Although the federal government has acknowledged this problem’s existence for more than a decade, it has failed to produce any meaningful remedy for the system. The situation is undoubtedly a complex one, dealing with the intersection of judicial, penitentiary, and crime prevention components. However, the fact remains that while Brazil is making international headlines for its independent foreign policy and stunning economic successes, tens of thousands of incarcerated Brazilian citizens are suffering unfairly. Outside of prison walls, even more are victims of their government’s failure to reform the prison system, as terrible conditions strengthen gangs and create a vicious cycle of violence that Brazilians must contend with daily. 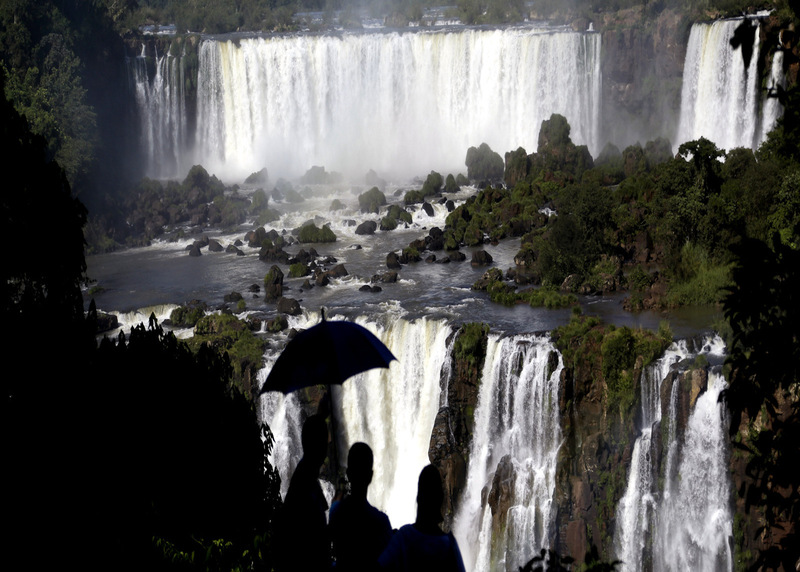 Both binding international law and Brazilian federal law insist that the nation hold itself to high human rights standards. It is time that law is translated into reality, and Brazil begins to take meaningful strides toward improving its prison conditions. Any discussion of improving Brazil’s prison conditions must begin with a frank acknowledgement of their current reality. Inquiries conducted by various advocacy and legal rights groups provide a glimpse into the dark world of Brazil’s detention centers. These include not only prisons, but also police station lock-ups where detainees are sometimes kept for months or even years without trial, a practice that is, of course, illegal. As this girl’s fate makes clear, aside from terrible overcrowding and abusive, poorly trained prison officials, detainees must also routinely worry about violence directed at them from other prisoners. This is largely a result of prison gang rivalries, which frequently lead to riots and violence. One of the worst of these incidents took place in 2006, when one gang organized a revolt that eventually spread to 18 prisons in São Paulo. The dead and injured included not only inmates, but also police and other officials brutally attacked by the gang’s gunmen. Overcrowding is perhaps the most serious problem within Brazil’s prisons, and a cause of many of its others. In 2001, The Economist reported that prisons meant to hold 145,000 detainees were in fact holding 220,000.9 In June 2008, DEPEN, the Brazilian government’s National Penitentiary Department, reported that the number of prisoners in jails exceeded the number the facilities were designed to hold by 40%. According to a report published by the International Bar Association (IBA) Human Rights Institute in February 2010, which cited the 40% statistic, overcrowding has only increased since DEPEN released those numbers.10 This document also made reference to a 2008 report by Philip Aston, the UN Special Rapporteur on Extrajudicial, Summary, or Arbitrary execution, where Mr. Aston notes that Brazil’s prisons frequently held three times as many people as they were designed to accommodate.11 Overcrowding makes prisons unmanageable and leaves prison officials desperate to maintain order. Administrators then turn to gangs or abusive measures to control detainees, which leads to many of the horror stories reported by Amnesty International, the State Department, and other agencies. “Many of these penal facilities are violent, life-threatening places. Prisoners live in constant fear of assault by other prisoners. Every year, scores of deaths in custody occur as a result of violence on the part of police and prison officers, denial of medical care, and negligence on the part of the authorities in preventing violence between detainees” 12. “Detainees continued to be held in cruel, inhuman or degrading conditions. Torture was regularly used as a method of interrogation, punishment, control, humiliation and extortion. Overcrowding remained a serious problem. Gang control of detention centres resulted in high levels of violence between prisoners” 13. It is clear that, during the 11 years between these two reports, very little change was recorded. Although some prisons have seen improvement, others have further deteriorated, and the overall pattern of abuse and human rights violations remains. Popular opinion toward suspected criminals is extremely hostile in Brazil. Many Brazilians oppose the idea of extending rights to the imprisoned, and are not particularly concerned by inhumane prison conditions or brutal tactics employed by prison officers. After the 1992 massacre of 111 prisoners at Carandiru, public opinion polls showed that a significant number of people supported the actions taken by police.15 As The Economist put it, “The public tends to feel that if Brazil’s prisons are hell, so much the better.”16 This is an obstacle to success for many reformist politicians, because they are perceived as being “soft” on crime. It seems to many officials that no matter what policy is most effective, they have only two choices: appear “tough” on crime by advocating harsh policies toward alleged criminals, or advocate “soft” policy based on rehabilitating convicts and lose the next election. There is, of course, great value in the democratic principle that the government should pursue policies that reflect the will of the people. However, human rights are not subject to popular referendum in the same way that other policy matters may be. Moreover, Brazil is party to many international instruments that guarantee human rights, and Brazil’s constitution and federal laws contain a series of rights that apply to all Brazilian citizens, including accused criminals. Unfortunately, many of these rights are currently being violated in Brazil’s penal system. In addition to instances of torture, inhumane treatment, and other human rights abuses, violations of legal procedural rights are also extremely common. For instance, the Brazilian Constitution of 1988 provides that any citizen accused of committing a crime has the right to a defense lawyer, which should be provided at government expense if the accused cannot afford private counsel. However, although more than 80% of prisoners in Brazil cannot afford a lawyer, very few have been provided with adequate defense.17 Defensoria Publica, the body that is constitutionally mandated to provide these free legal services, does not have enough funding or staff to deal with the huge number of cases that come its way. As a result, many prisoners are never provided with a lawyer, and public defenders do not have the time or resources to give each case the attention it is constitutionally entitled to. It is undoubtedly the responsibility of the Brazilian federal government to correct this situation, no matter what public opinion polls say. This will involve not only penitentiary reform, but also reform of Brazil’s sluggish judiciary which, due to its tendency to resort to pretrial detention, is at least partly to blame for prison overcrowding. To his credit, President Lula has made attempts to reform the judiciary, but most of these efforts have been blocked.20 But even if his attempts had been successful, the improvement of prison conditions would still be necessary to create true and sustainable change. As both the BBC and The Economist have reported, federal officials argue that it is the responsibility of state governments to ensure that prison conditions are adequate, and that the federal government is “largely helpless if state authorities refuse to cooperate.”21 Although it is true that most of the responsibility technically rests with state governments, it is far from true that the federal government is “helpless.” Firstly, they are able to provide funding. Secondly, the National Council on Criminal and Penitentiary Policy is an instrument of the federal government, and is supposed to inspect detention sites and report on their adequacy.22 By taking full advantage of this opportunity and committing the Council to frequent and unannounced inspections with publicly-released results, the federal government could potentially assert much more control over prison conditions. Just as it may be necessary for Brazil’s federal government to pressure its state governments into penitentiary reform, perhaps it is necessary for an outside force to apply pressure on Brazil’s federal government before change will take place. Human rights NGOs and international bodies like the UN and the Inter-American Commission on Human Rights have been doing this consistently, but to no avail. The obvious alternative is that the United States government urge Brazil to make penitentiary reform a priority. As the dominant power in the hemisphere, the U.S. arguably has a responsibility to promote human rights in the region. But in this case, the United States has very limited power to influence events. Lula has made huge progress in ensuring that Brazil pursues policies decided in Brasilia, rather than those that Washington would prefer. This has been especially clear in his foreign policy decisions, most notably in Brazil’s relationship with Iran. However, growing Brazilian independence means that Lula is able to resist Washington’s influence not only when its preferences are bad for Brazil, but also when they are in Brazil’s best interest, as would be the case if the U.S. began to seek improvement in the Brazilian prison system. Furthermore, the United States’ own record of human rights violations inhibit its authority to call for prison reform in Brazil. The Guantánamo Bay detention facility is still operating, despite highly publicized human rights violations that took place there and the fact that virtually all of its prisoners could be called “pre-trial detainees.” It is now undeniable that the United States has used torture, or “enhanced interrogation techniques” as they are sometimes euphemistically called, in the recent past. The horrifying photos leaked from Abu Ghraib are still floating in the public consciousness. If the government of the United States were to publicly call for the improvement of prison conditions in Brazil, it would most likely be accused of hypocrisy, and rightly so. Several strategies to reform Brazil’s penitentiary system have been suggested by both domestic and international NGOs, and all of them must be pursued if change is to take place. Sentences involving community service and fines, rather than jail time, should be used as frequently as possible for non-violent crimes, and pre-trial detentions should be cut back. Conditions in prisons must be improved to meet minimum human rights standards. This can be done by putting greater effort into inspections, which should be conducted without previous warning. The culture of impunity that now exists for prison and police officials who abuse detainees must also end. The legal rights of accused criminals must be met. Expanding Defensoria Publica so that it is able to handle its large caseload would be a step in the right direction. The Brazilian authorities should not be criticized too heavily. To say they have completely ignored this problem would be an exaggeration; in fact, most of the strategies suggested above have already been tried at one time or another. The problem is that implementation has not been widespread, and attempts at reform have only been half-hearted. The political will to truly transform the penitentiary system simply does not exist. As Brazil rises to the status of a leading democratic power in the region, it must raise its human rights standards as well. The United States has often been criticized because, despite the fact that it is a world leader economically and militarily, other developed nations frequently do a better job of protecting the human rights of their people and promoting human rights around the world. As Brazil begins to emerge as a true world power, perhaps it can avoid this fate. However, in order to do so it must comply with the standards required by both its own constitution and international law, and it can start by improving the Brazilian prison system. 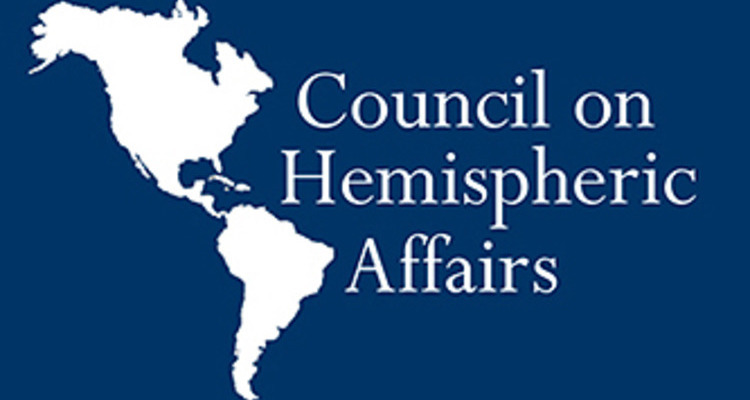 February 3, 2015 COHA Comments Off on COHA ANNOUNCEMENT: “REVISITING CONSENSUAL HEGEMONY: BRAZILIAN REGIONAL LEADERSHIP IN QUESTION” BY COHA RESEARCH FELLOW SEAN BURGES, PH.D.